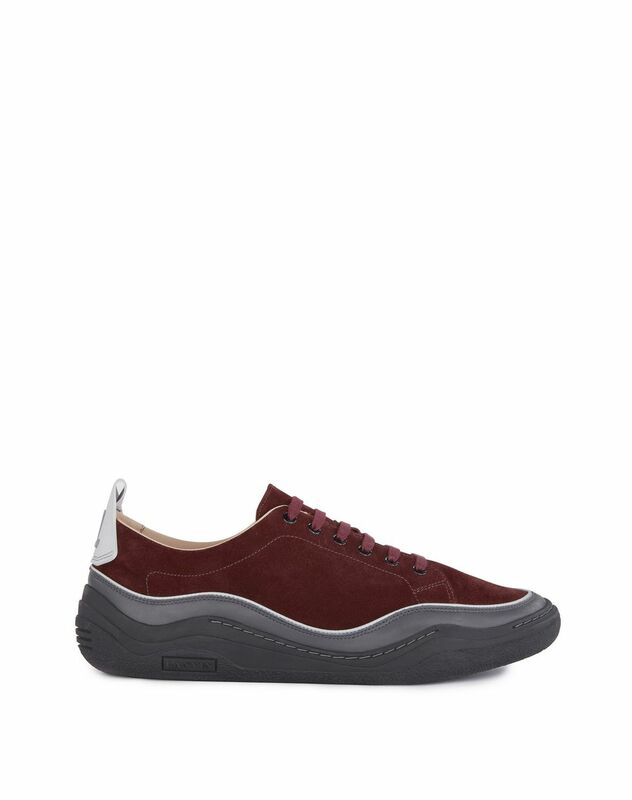 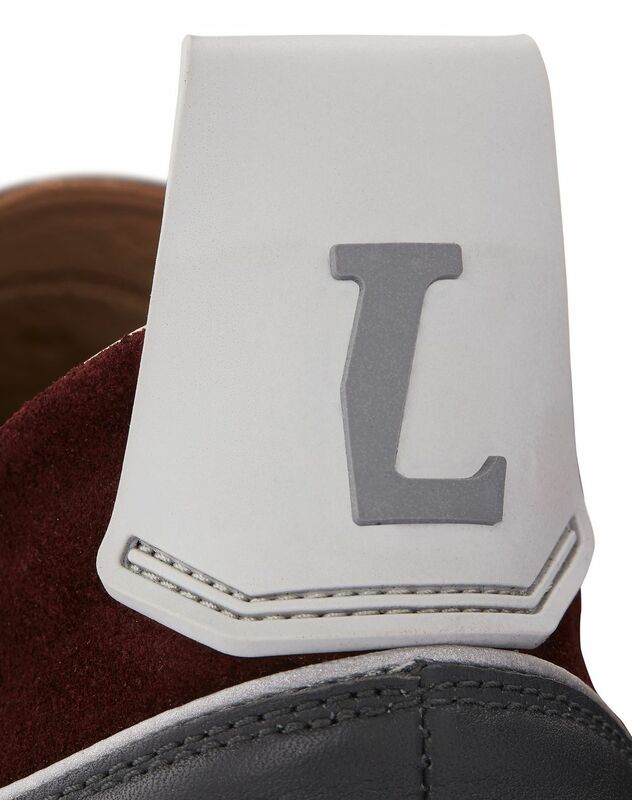 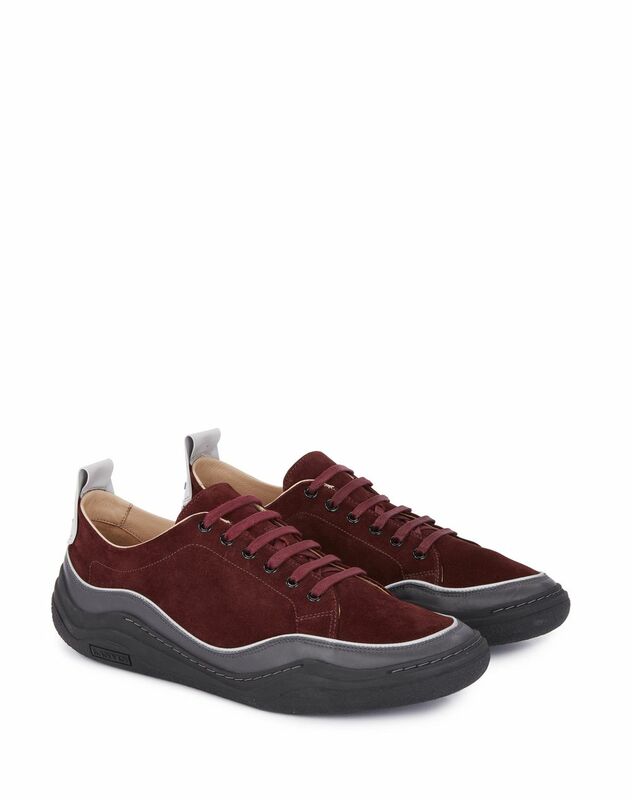 Burgundy Diving sneaker in suede calfskin leather, tone-on-tone topstitching, tone-on-tone cotton laces, ankle tab with exclusive contrasting light gray Lanvin logo, light gray nappa calfskin leather inset, 100% black calfskin leather lining, and a Lanvin-exclusive dark gray rubber sole. 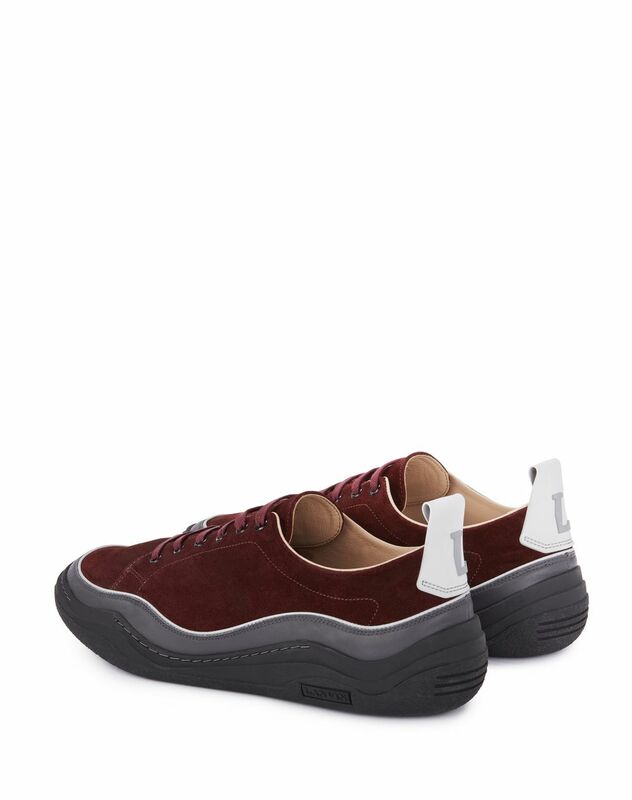 A strong theme throughout the Spring 2018 season, the Diving sneaker combines avant-garde aesthetics and technical performance, all while standing out with its exclusive Lanvin sole. 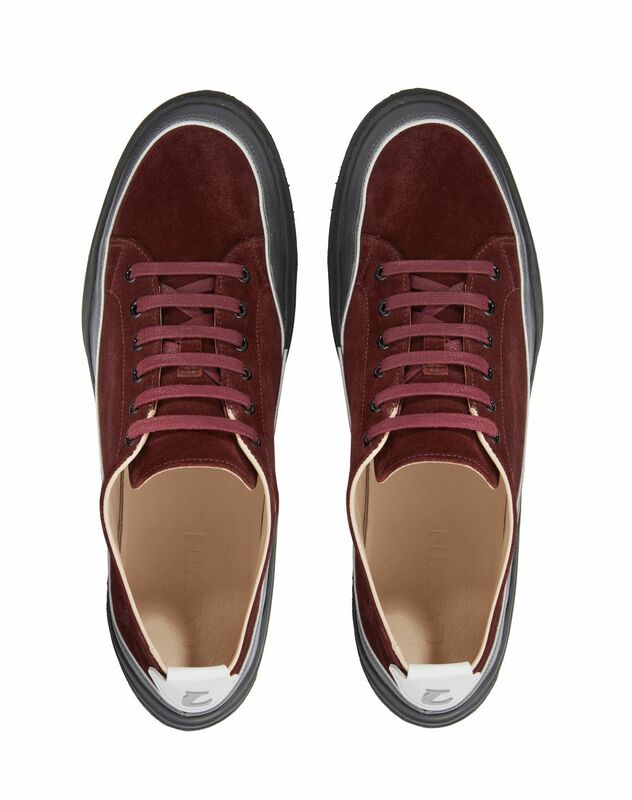 The suede calfskin leather and luxurious details of the finishes provide a contemporary, casual style.